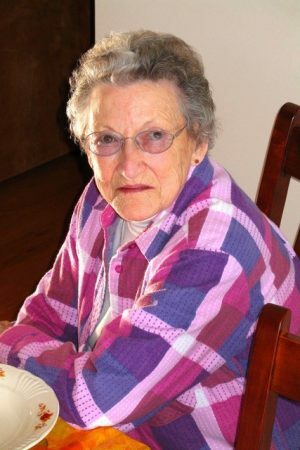 FULTON, NY – Alberta Hirschey, 98, passed away peacefully Thursday October 11, 2018, at St. Luke Health Services, Oswego, NY. She was born in Beaver Falls, NY, to the late Henry O. and Annetta (Coir) Saunders. Mrs. Hirschey had been a resident of Fulton since 2003. She was a licensed beautician early on in her married life. She also worked several years at the Lewis County Clerk’s Office. Mrs. Hirschey was of the Methodist faith. She was predeceased by her husband, Raymond L. Hirschey, in 1995; and daughter, Meridth L. Izyk; her brother, William Saunders; and sisters, Myrt Port and Themla Camidge. Mrs. Hirschey is survived by her children: Marcia (Howard) Higby of Tennessee and Peter Hirschey of Fulton; her grandchildren: Cindy (Hector) Cortes, Theresa (Michael) Staley, Charles (Susan) Higby, John (Michelle) Izyk, Joanne Izyk, Cheryl Izyk and Cassandra (Chris) Jones; 11 great-grandchildren; one great-great-grandchild and several nieces and nephews. A celebration of life will be conducted in the summer of 2019 and burial will be held in the Apostolic Christian Church Cemetery, Naumburg, NY. In lieu of flowers, the family has requested that donations be made to the charity of one’s choice in her memory.